Bosnia and Herzegovina is a country with a tragic history and immense beauty. If you are interested in the country’s history then I highly recommend “The Death of Yugoslavia”, a documentary detailing all the events that lead to the death of the Yugoslavian state in the 90s. The documentary can be found online on YouTube. Bosnia-Herzegovina is still recovering from the devastating three-year war during which Mostar was heavily destroyed and the remnants of the war are evident at every turn: damaged buildings, walls riddled with machine gun holes and decaying ruins. 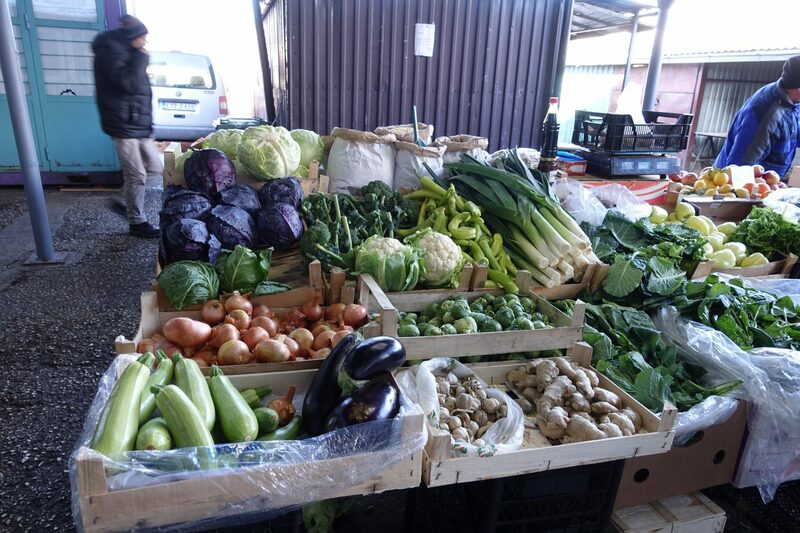 Sarajevo’s markets offer everything one can think of and desire. The biggest markets in Sarajevo are Pijaca Markale, Pijaca Koševo-Ciglane, and Zelena pijaca Otoka. A pita is a filled pastry made with a thin flaky dough and krompiruša (filled with potato) is almost always vegan. 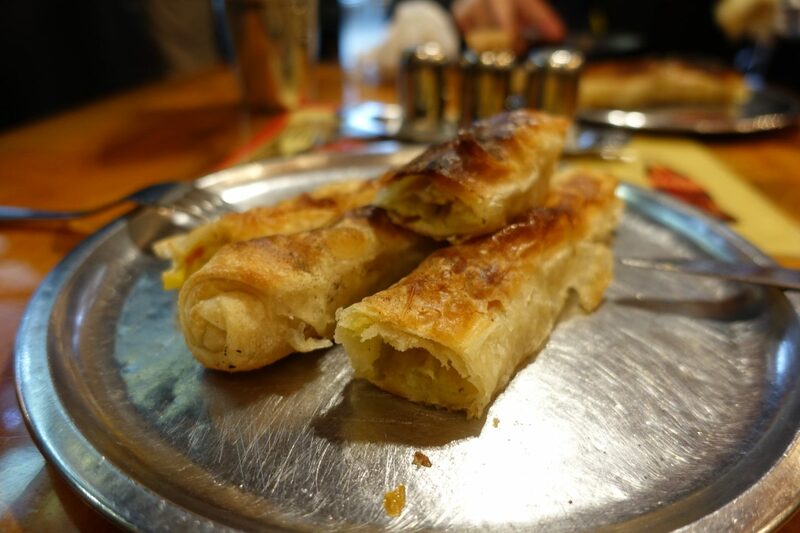 Make sure to check out Buregdzinica Bosna, Pekara AS and Pite ispod saca for the best pita in Sarajevo. Bosnia and Herzegovina’s countryside. Whether by bus or car, make sure to drive through its countryside. I am awestruck by its beauty and plan to explore it next time around! 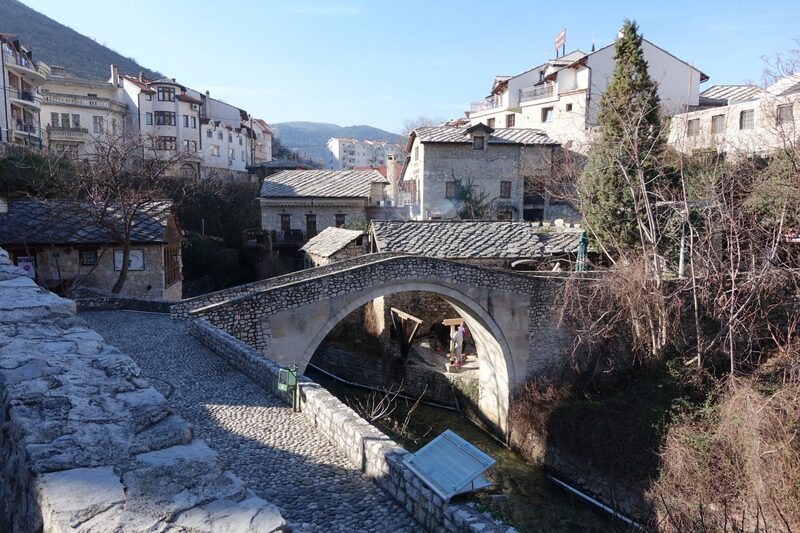 Kriva Cuprija (or ‘Crooked Bridge’) is a smaller version of the world famous Stari Most, Mostar’s most famous bridge in the heart of Old Town. 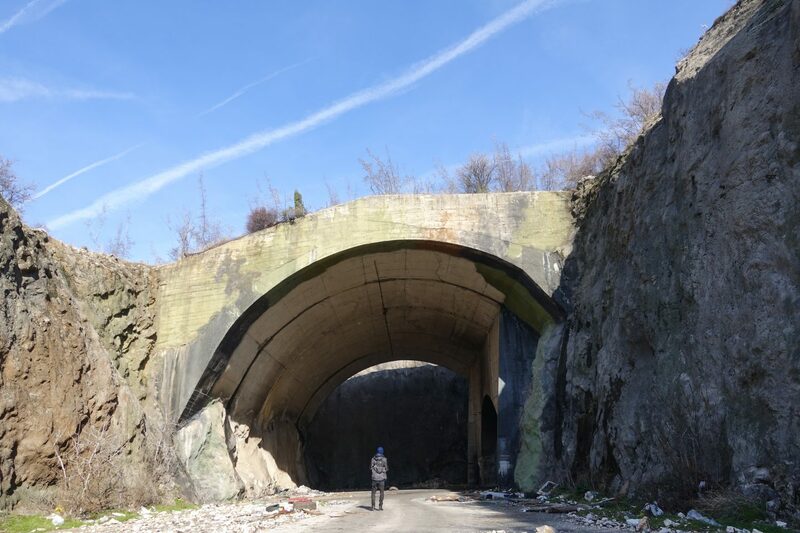 The airport hangar near Mostar is a gigantic and formerly top-secret underground airport hangar that’s hidden in the mountains near the Mostar airport. 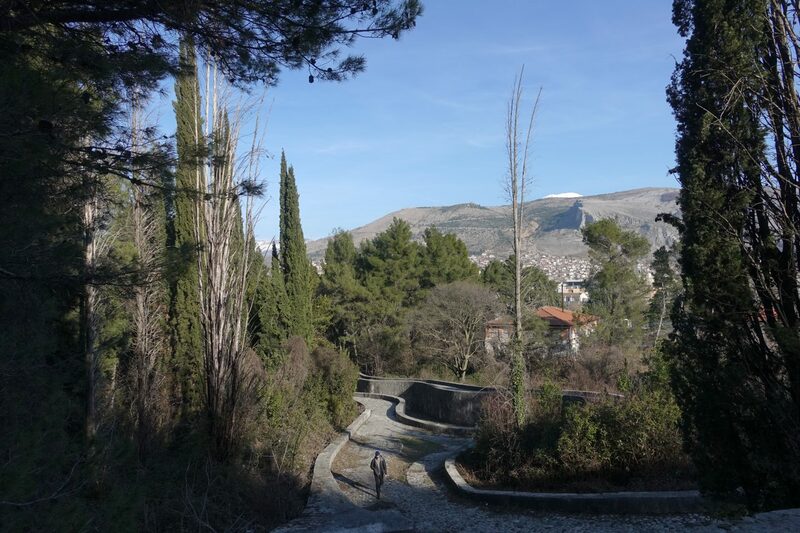 The Partisan Memorial Cemetery in Mostar was built to honor the members of the Yugoslav army who died during World War II and is both monument, park and an actual cemetery. 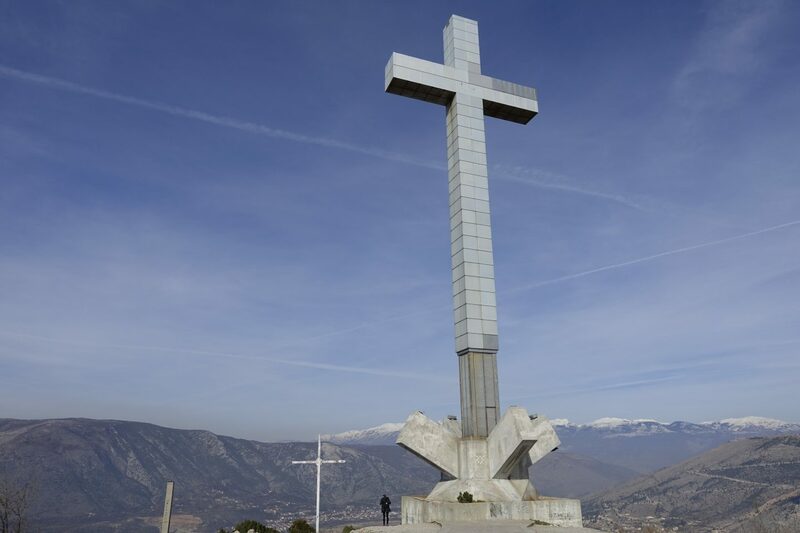 The “Millennium cross” sits on top of hum hill and is visible from the city of Mostar. It takes roughly 2 hours of walking to get there from the Old Bridge and is well worth a visit! 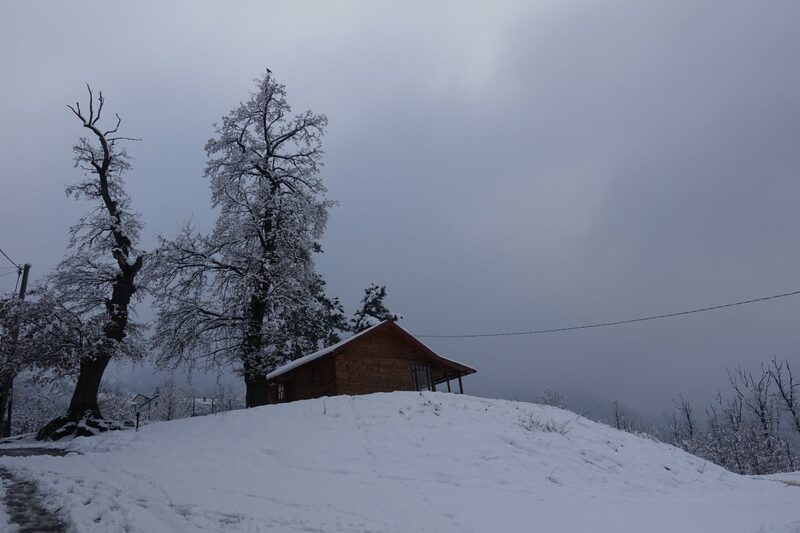 Explore Sarajevo and its beauty in the winter. 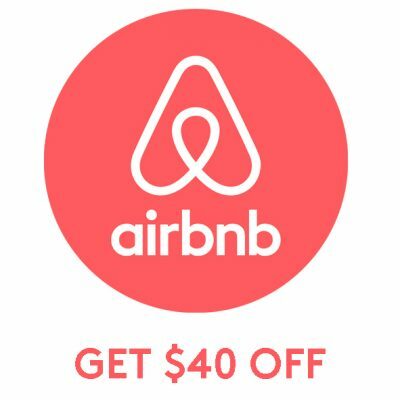 Traveling to popular destinations has heaps of benefits: you”ll cheaper accommodation, it’s less crowded and a whole lot calmer. 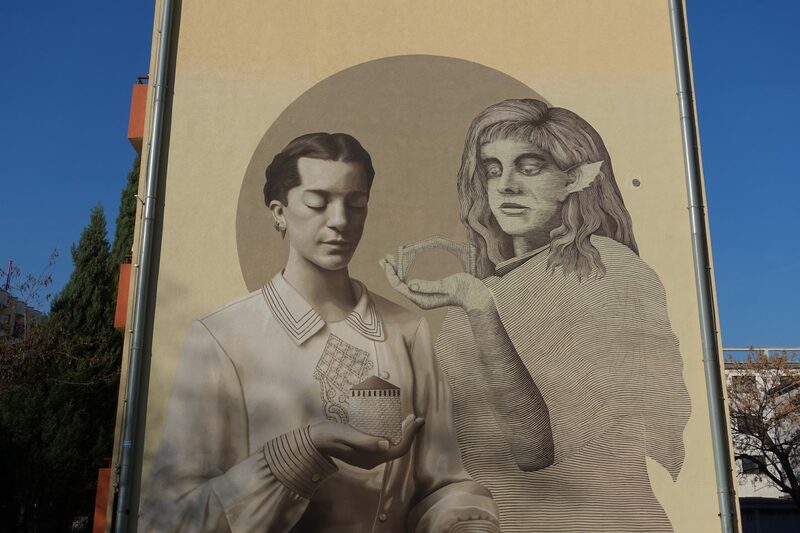 Mostar is Bosnia and Herzegovina’s street art capital and there is street art on almost every corner – on bullet hole ridden ruins and renovated constructions. 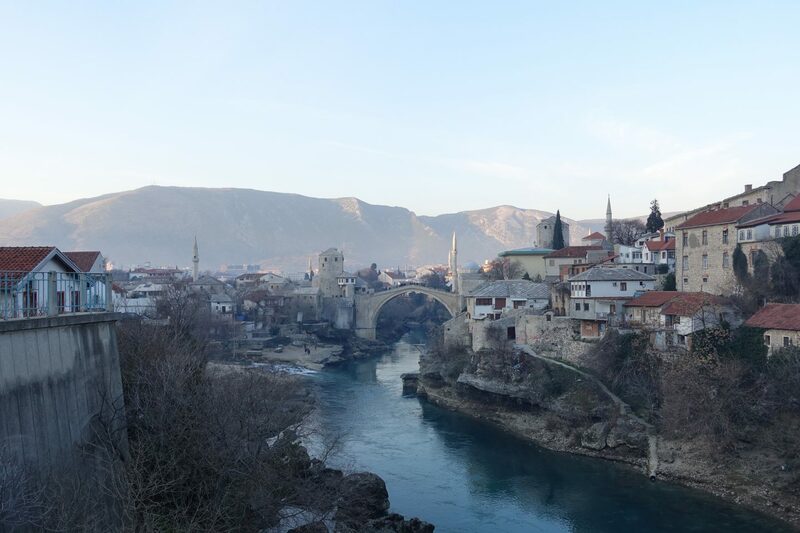 The “old bridge” or Stari Most is Mostar’s most famous site and attracts heaps of tourists from all over the world, every single year. Wow! ? It really does look like a very beautiful country! I have to check that documentary! I really want to know more about the subject!